If you spent any time on Twitter during Anime Expo 2017, you might have noticed that there’s been plenty of amazing announcements coming out of the Los Angeles-based convention. Arguably some of the biggest of these aired during Studio Trigger’s panel on July 2. 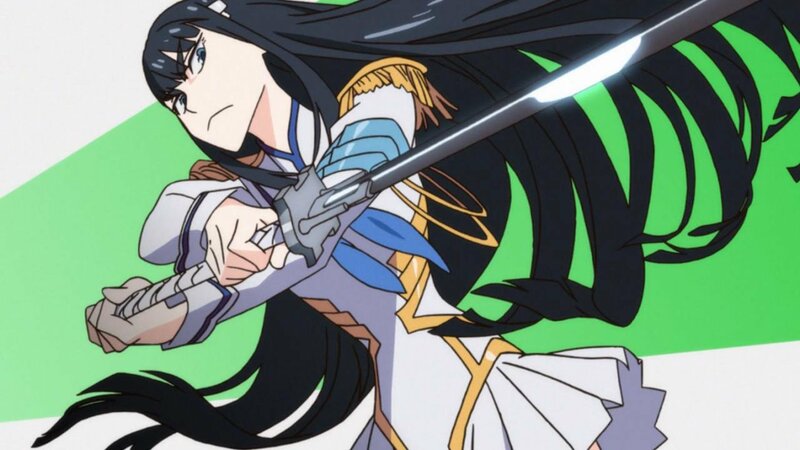 The animation studio behind fan favourites such as Kill la Kill and Little Witch Academia, Studio Trigger made three world exclusive announcements at their panel and offered up information on three new IP they were working on. The first is an original science fiction anime: Darling in the Frankxx. This will be a collaborative project with A-1 Pictures. A-1 Pictures are the studio behind Sword Art online, Erased, and Fate/Apocrypha (premiering in the 2017 summer anime season). More details will be revealed about Darling in the Frankxx on July 5 when Studio Trigger will announce the character designer, director and more. The second announcement was for Superhuman Samurai Syber Squad Gridman (SSSS Gridman) which will be directed by Inferno Cop director Akira Amemiya. Gridman will be made in partnership with the Ultraman Company and it will be Studio Trigger’s take on the long running Ultraman franchise. This series will have an original story unrelated to the original live action show Denkō Chōjin Gridman. The biggest of the three announcements was Promare, the latest project from the Kill la Kill and Gurren Lagan team. Promare will be directed by Hiroyuki Imaishi, written by Kazuki Nakashima and have characters designed by Shigeto Koyama, all three of whom worked on Kill la Kill. Along with the staff announcement came other details about the show including that Trigger will be working with XFlag to make the upcoming anime, that the protagonist will be male, and the reveal of the shows poster. At the panel, staff commented that Promare had been in production for four years. We can only hope that this long process will result in another smash hit for the studio.